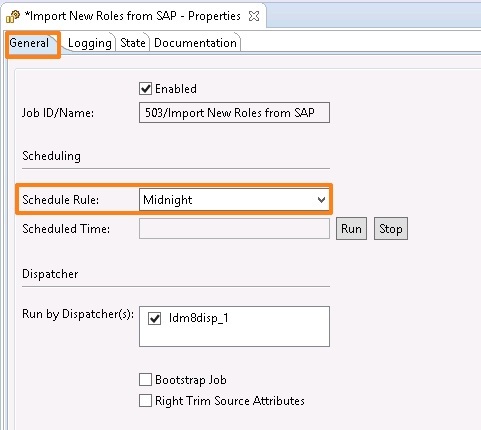 After SAP IDM integration with SAP applicationss, the biggest challenge is to import the new roles from SAP systems to IDM on the regular Interval. This can be easily achieved through a job with 4 passes. Create a New Job and rename it. Add a From Custom pass: Copy the pass ReadABAPRoles from the Initial load job of the ABAP connector package, rename it, add the repository in Genral tab, change the table name (Optional) in Destination tab and enable the delta as per the below screenshot. 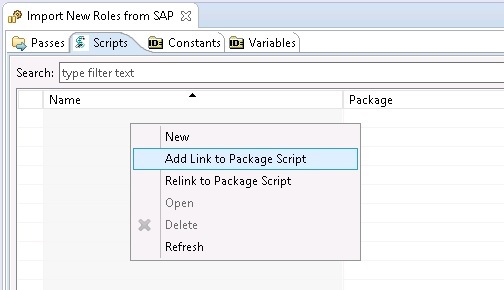 Add a To Generic pass: copy the pass Enable this pass to interrupt the execution of the job at this point from the Initial load job of the ABAP connector package. 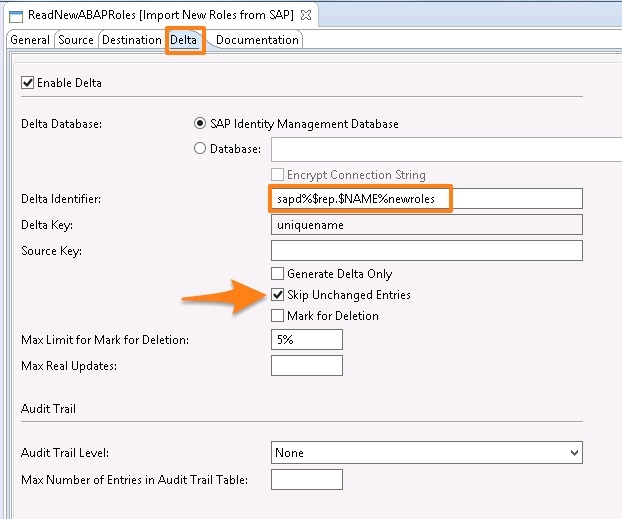 Add a To Identity Store pass: Copy the pass WriteABAPRolePrivileges from the Initial load job of the ABAP connector package, rename it and modify the source SQL query table name as per the name given in the ReadNewABAPRoles pass – Destination tab. 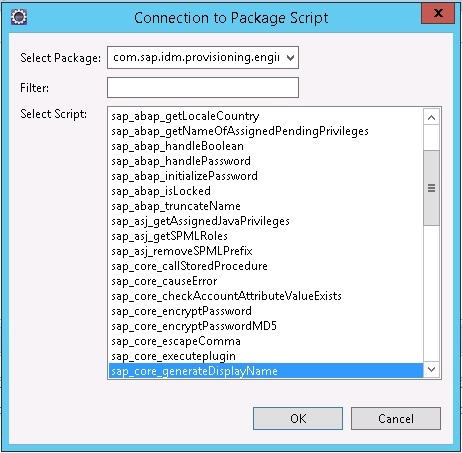 Add a To Identity Store pass: Copy the pass AddTriggersToABAPRolePrivileges from the Initial load job of the ABAP connector package, rename it and modify the source SQL query table name as per the name given in the ReadNewABAPRoles pass – Destination tab. Once all the passes has been added, run the job. While running the job first time, please ensure that Enable this pass to interrupt the execution of the job at this point pass is enabled. 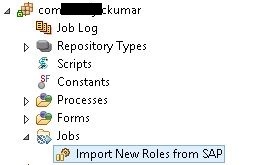 Importing New Roles : Create few roles in the SAP system and Run the JobI have created 4 roles in my SAP system and ran the job again. Observe the Job Log: 8 entry has been added (4 in ReadNewABAPRoles pass and 4 in WriteNewABAPRoles pass), 4 entry has been modified (in AddTriggersToABAPRolePrivileges pass) and there is No operation on 794 entries. It shows that the jobs successfully created all 4 new SAP roles as privileges in SAP IDM which can be verified from SAP IDM UI or SQL query. Now schedule the job so that it will read the all New SAP roles on the regular interval. Note – I have set the schedule rule as Midnight, however it could be anytime preferably non-business hours. 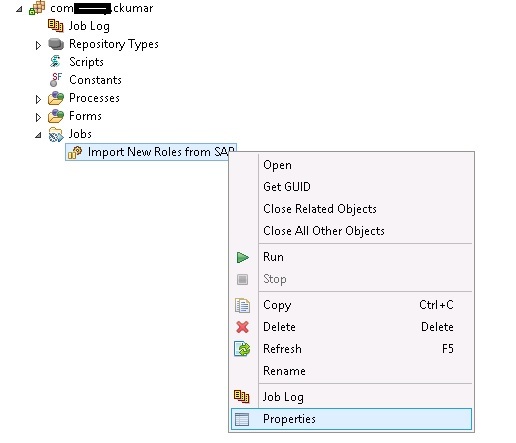 The above job will not perform any deletion of the privileges from the IDM even any roles has been deleted from SAP system.